The Diplomat talks with the spokesman of Vietnam’s most prominent unsanctioned political party about the country’s politics. Duy Hoang is the U.S.-based spokesman for Viet Tan, the country’s most prominent unsanctioned political party which claims thousands of members inside Vietnam and among the Vietnamese diaspora around the world. As Vietnam gets set to hold legislative elections on May 22, he spoke with The Diplomat’s Shawn Crispin on the core differences between Viet Tan and the ruling Communist Party as well as why upcoming National Assembly polls should not be viewed as even a tentative step towards multi-party democracy in Vietnam. An edited version of that interview follows. Vietnam has held National Assembly elections since 2002, yet the Communist Party has maintained its dominance. Why is this the case? Vietnam is a one-party communist state, not a parliamentary democracy. The ruling Communist Party treats the National Assembly as a rubber stamp and the electoral process is neither free nor fair. In short, the Vietnamese people haven’t paid much attention to National Assembly elections and neither has the Communist Party. Media reports have pointed to an unprecedented number of self-nominated independent candidates for this year’s polls. How, if at all, is the run-up to this year’s legislative election different? In theory, the National Assembly represents the people and all citizens have the right to stand as candidates. In practice, most Vietnamese treat the National Assembly with apathy or disdain because they know the Communist Party doesn’t honor the lofty language in the constitution or laws. What makes this year different is that scores of activists are willing to challenge the status quo by simply exercising their rights according to the Vietnamese constitution. It’s like civil disobedience but rather than challenging the regime’s unjust laws, activists are challenging the regime’s unjust application of existing laws. Party officials have touted the process so far as proof of Vietnam’s “democratic spirit”? What’s your comparative assessment? To put things in perspective, the Communist Party is fond of saying that Vietnam is “a thousand times more democratic” than Western countries. As always, there is a big gap between the official propaganda and the reality on the ground. What we’re seeing currently is the determination and creativity among activists to exercise their basic rights and push for greater political space — despite the risk of harassment and persecution by authorities. Should the upcoming polls be perceived as a tentative move towards multi-party democracy? Why then do authorities feel compelled to advance such a narrative when Vietnam is by any neutral measure still a one-party authoritarian state? It’s embarrassing to acknowledge that you violate human rights or democratic principles. That’s why Hanoi’s officials pretend that Vietnam doesn’t have any political prisoners and that real elections aren’t necessary because the Communist Party already enjoys the support of the people. But all governments ultimately need the consent of the governed. In a free country, consent is given at the ballot box. In an authoritarian society, popular consent is coerced through fear. But through social media and greater civil disobedience offline, Vietnamese are showing that they are less willing to be coerced. Elaborate briefly on Viet Tan’s membership, policies and state of relations with the Communist Party. Viet Tan has members from all walks of life in Vietnam and among the diaspora. Our goal is to promote political change through peaceful means. 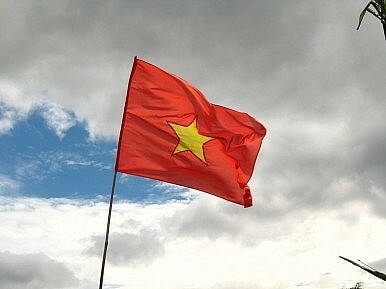 We want to see a modern, developed Vietnam where human rights are respected. That can only happen when all Vietnamese have a say in the future of their country. We are active in supporting a de facto free media – through advocating for internet freedom and advancing citizen journalism – because freedom of information is empowering. Likewise, Viet Tan believes that that the people of Vietnamese must be the agents of change. Hence, we strive to support grassroots movements and capacity building. What is the core philosophical difference between the two parties? Why do authorities sometimes refer to Viet Tan as a “terror” organization? While early in its history the Vietnamese Communist Party attracted a lot of idealistic people, many of whom paid great sacrifices for what they thought was right for the country, the Communist Party today is the greatest impediment to Vietnam’s progress and ability to realize its full potential. The Party’s insistence on a monopoly on power fuels human rights violations and social injustices. The communist party leadership perceives anyone with a different viewpoint as an enemy and feels threatened by popular participation. On several occasions authorities have detained members of Viet Tan under the charges of “subversion” or “terrorism.” Sounds really ominous but the actual activities which authorities accused Viet Tan members of engaging in were: blogging, attending trainings on civic participation, distributing leaflets, attending public rallies, and organizing disaffected groups. These have all been peaceful acts of political expression entirely within the scope of the basic rights enshrined in the Universal Declaration of Human Rights and in most cases the Vietnamese constitution. How many of your members have self-nominated for the upcoming poll and to what extent are they able to run freely under a Viet Tan banner? We support every effort to increase the political space in Vietnam and to challenge the Hanoi authorities to abide by their international obligations as well as domestic laws. However, we don’t view this as a real election or the National Assembly as a legitimate political body so it doesn’t make sense for Viet Tan to be offering candidates. Have your members, or even perceived members, faced official harassment in the election’s registration period? Several Vietnamese activists have faced official harassment. This is something that concerns us because anytime someone is persecuted, it is a concern for the entire [pro-democracy] movement. Do you think the Party’s attempt to portray the legislative polls as free and fair will have any resonance in the international community, including in Washington? I don’t think some articles on Vietnamese state media will change the perception or reality of Vietnam’s authoritarian political system. Before Vietnam can be like [now democratizing] Myanmar, the communist leadership needs to release prisoners of conscience and allow for political opposition. Will the Environment Be the Vietnam Government’s Downfall?Fishery Disaster Tests Mettle of Vietnam's New Government Who Is Vietnam’s New President?How Will Vietnam's New Communist Princelings Shape the Country's Future?Is Vietnam Creeping Into a Succession Crisis?